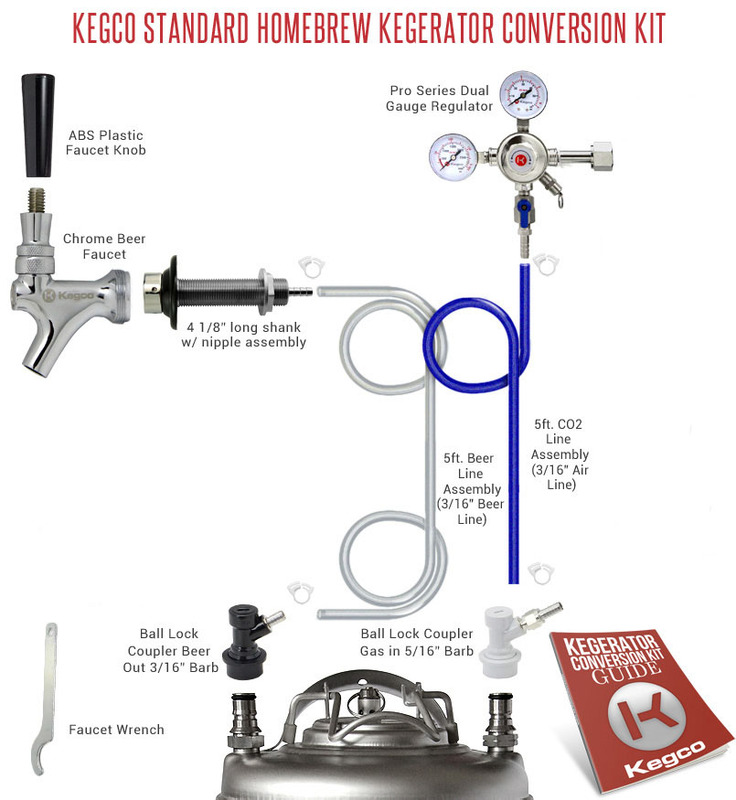 Kegco's Standard Home Brew Kegerator Conversion Kit comes complete with everything you'll need to successfully convert your refrigerator or freezer into a high-performance home-brew beer dispenser, taking the guesswork out of building your own kegerator. This kit is made up of high-quality commercial-grade parts with ultra-convenient features, like a dual gauge regulator that monitors both output pressure and CO2 volume and ball lock couplers for easy tapping of Cornelius Pepsi kegs. All of Kegco's conversion kits are specially designed and built to last, and come with detailed instructions that help make the conversion process fast and simple.